You can also read about the new Society of One Place Studies and watch their first hangout. Looking for Christmas ideas, or just wanting to let your family come to grips with their family tree, have a look at Lone Tester’s (Alona) photographic family tree wall. Western Districts Families blogger Merron, talks about how she’s been using Facebook to attract past and current residents of Hamilton, Victoria. A great idea if you have a particular interest in an area and want to promote it. Looking for photography tips. How about this blog? This is a link to a reconstruction of London as it was 400 years ago. Several bloggers mentioned this including British Genes which has the full story linked. The InDepth Genealogist recommends MakeUseOf, which looks like a site I need to explore. Whispering Gums on Jane Austen and Politics. Yes it is about literature but have you considered novels might add context to your family stories? Genealogy’s Star, James Tanner, always offers a smorgasbord of food for thought: An Overview of Genealogy, Part 4. And what about those “I agree” statements we all click on? And importantly “the essence of genealogical research”. Or using “New technology to use historic maps”. Or What is Research? “Comparing legal research with genealogical research”. My list of saved posts includes so many of Genealogy’s Star’s post. If you don’t already follow this blog add it to your “must read” list. James always gives us something to think about. 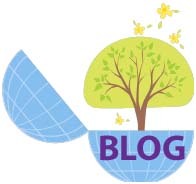 Marian’s Roots and Rambles offers advice to budding bloggers on choosing a blog name. I wonder how many of us considered all these points. Do you have family across the ditch? Inside History reminds us of the wonderful Papers Past website for NZ (their equivalent of Trove). And another post from Inside History where SLNSW’s Margot Riley dates a family photo. See how it’s done. And for a touch of history interspersed with levity, they’ve also recommended “Girt, an unauthorised history of Australia” with its play on our national anthem. I am finding it very funny and tongue in cheek though the history may need some closer inspection. And for those of us with Scottish ancestry, you may find Chris Paton’s post on pre-1841 census listings to be enlightening. This won’t give you the actual records but will ensure you know what’s available. And my own addition to the above listing, why not check out the Historical Tax Rolls on ScotlandsPlaces. I found some interesting family snippets among these. This entry was posted in Blogging, Family History and tagged blogging, hangouts, Monday Mentions by cassmob. Bookmark the permalink. Thanks for the shout out for The In-Depth Genealogist. We greatly appreciate it. Thanks for the mention, Pauline. Our group is going from strength to strength and now has over 1300 members. So many people say there are addicted to the group and have let their usual Facebook activites and housework etc go. They are digging out old photos and sharing them. It has been a wonderful display of community spirit. Great round-up of interesting posts, thanks, Pauleen. Thanks for the mention Pauleen, it is appreciated. And once again you have come up with a great bunch of links covering the weeks happenings. Thanks Alona and you’re welcome to the mention -I liked your idea! You’re welcome SD. I hope they prove fruitful.